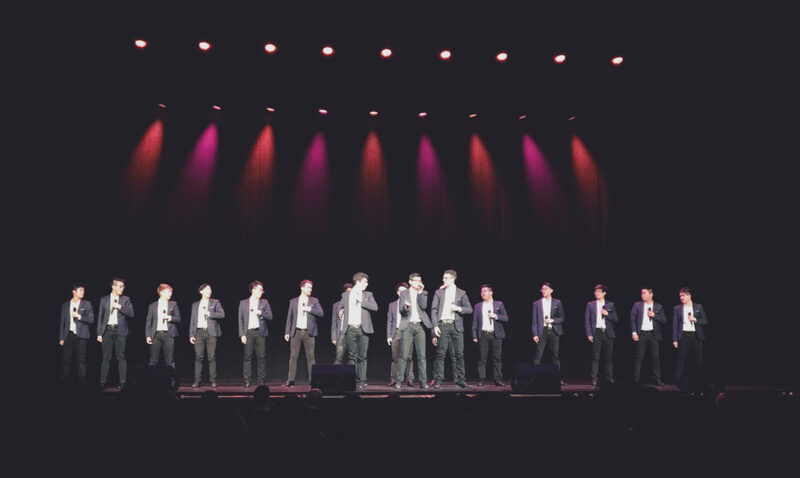 The Water Boys recently made waves, not just because Prime Minister Justin Trudeau recognized them, but also because they are the first Canadian team to qualify, in a decade, as finalists for the International Championship of Collegiate A Cappella (ICCA). The University of Waterloo’s own Water Boys, competed in ICCA after being named Cetral Regional Champion. The competition took place at the Beacon Theatre in New York, NY. The competition drew in teams from all over the United States, one team from the United Kingdom and one from Canada. The boys ultimately described the experience at the competition as “magical” and “really cool” for a lack of better words. UW a cappella group Water Boys performing at the Beacon Theatre in New York for the International Championship of Collegiate A Cappella. The boys performed Black Bird by the Beatles, went straight into a mashup of “Since You’ve Been Gone” by Kelly Clarkson and “Maps” by Maroon 5, “Needing/Getting” by Ok Go and Fake Memories by One Direction. They also got an opportunity to perform “Man in the Mirror” with all the finalist groups to sing together, arranged by Ben Bram, a Grammy award-winning vocal arranger.